The wait is over, our hydrotherapy pool officially opened on 15th April 2019. And now you can relax with a view. Book into our AURA Spa and an amazing experience awaits you. Our top-of-the-range hydrotherapy pool is mosaic-tiled to a swimming pool standard. 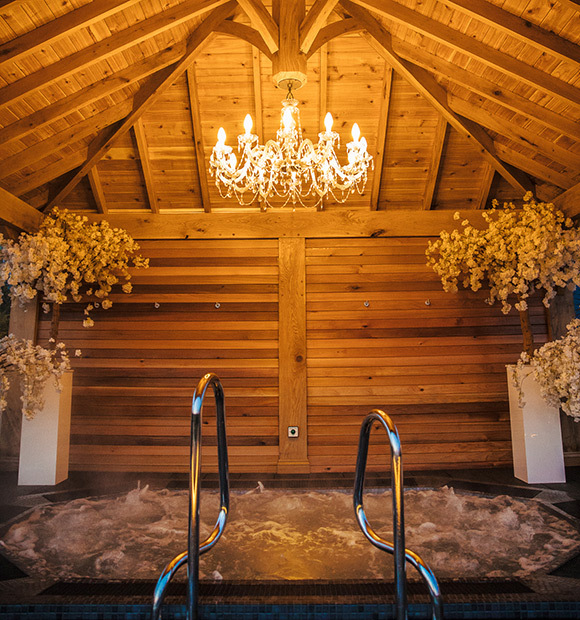 Treat yourself, enjoy a romantic escape with your loved one, or celebrate with friends and family. Our hydrotherapy pool is large enough for 10 people. And take your time – our decked area and outdoor furniture means you can make a day of it. After relaxing in the pool, wrap yourself up in a fluffy bathrobe and enjoy lunch, afternoon tea, coffee or a glass of bubbly. This little area tucked away at the back of our venue is a hidden gem – now the secret is out. Settle down, stay awhile and enjoy some amazing sunsets, stunning skylines and countryside views. Any spa package grants guests access to the outdoor hydrotherapy pool. 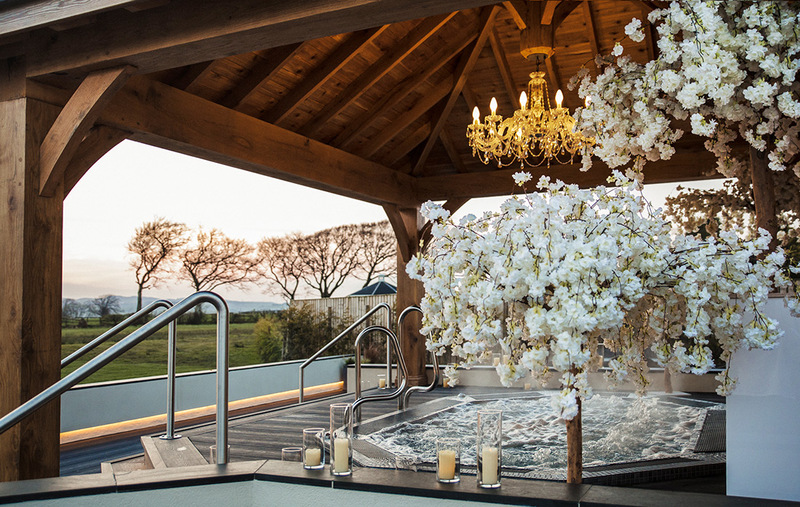 There are half day, full day and full AURA Spa Day experiences available from £49, with relaxing treatments, afternoon tea and lunch options.